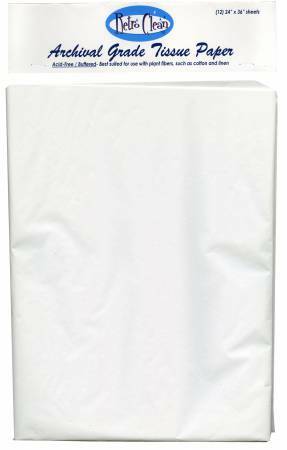 This buffered tissue is a high-quality, museum grade papersuited for interleaving prints, photos or wrapping quilts,gowns, linens or other historical textile items. Bufferedtissue is best for plant fibers, such as cotton, linen.Acid and lignin free. Do not use on wool or silk.